All this scavenging through archives has also led to another treasure. After a search, the recording was found. 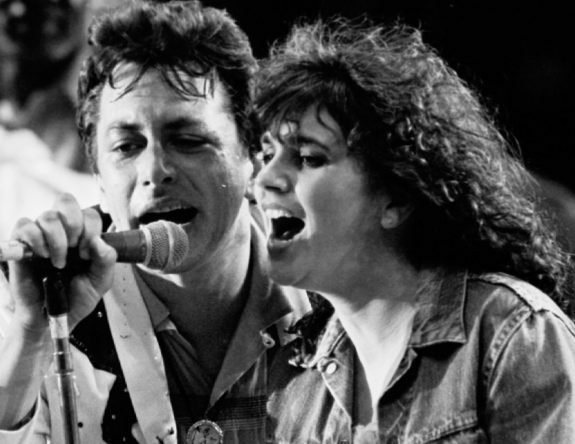 Ely and Ronstadt agreed the song held up well over time. Written by West Texas songwriter, Randy Banks, it is a Tejanao-tinged song of lost love and woeful regret that brings Linda Ronstadt back to her ‘Silk Purse’ country-rock era of the early 70’s. Her vocal interchange with Ely carries a soulful reminder of how two fine artists create magic through chemistry and the sheer joy of sharing together in a great country song and, sadly, how much we will miss her voice due to her struggles with Parkinson’s disease. Hear the magic below/ I will post info on buying when I get it. The real deal. Two southwestern treasures delivery a Gem. Will miss her voice very much. Thank you Joe Ely for bringing this to light. What a beautiful rendition of a wonderful song. It gives me nostalgic shivers. Perfect blend of sandpaper and silk! Song written by Rc Banks of Lubbock Texas, now lives in San Marcos. I will say that I was not aware that R.C. Banks authored this beautiful song…..I have known R.C. for many years now and feel a bit ashamed that I didn’t know he penned this. Great stuff to listen to and ….by the way I was there that Day In Buddy Holly park with thousands of young people feeling the music and sharing the talent that was shown on the Tornado Jam Stage. .Joe and Linda have two of the most emotional voices in our history of recorded music..I’ve loved Joe’s earlier version of this song for years. .Linda gives the song a deeper understanding. .what a great discovery. I would love to hear more info on their session together. .
Say the great Joe Ely at the Town Pump in Vancouver in about 1987. One of the great musical nights of my life.